The Italian Cultural Centre is hosting a long table dinner Wednesday, August 29th. The theme is Cena In Rosso, translation Dinner In Red. The event is a collaboration with Vancouver Farmers Market’s Tomato Fest and will celebrate the star of the summer: the tomato. It’s fitting then that the dress code is red. The menu has not yet been announced as of today’s writing, but we will update it once we know it. We do know guests will be among the first to taste top varieties of Italian Corno di Toro (bull’s horn) peppers being grown at UBC Farm. The peppers are part of a North America wide research quest to find and refine the best Italian-style roasting peppers. Tickets for the Dinner In Red are $45 and are available online or by calling the Italian Cultural Centre between 9:00 am to 5:00 pm at 604.430.3337. Event runs from 6:30 to 9:30 pm. Vancouver Farmers Market hosts two winter farmer markets this year. Both kick off this weekend. Nat Bailey Stadium kicks off this Saturday, November 4th and Hastings Park happens Sunday, November 5th. These markets happen rain or shine and continue into April. So if they can be out there in all the elements, so can we to support our local growers and makers. The biggest Winter Farmers Market is at Nat Bailey Stadium, 4601 Ontario Street on Saturday November 4th and runs each Saturday until April 22nd, 2018 save for December 30th. The market runs from 10:00 am to 2:00 pm. If you prefer heading to the farmers market on a Sunday, then be sure to check out the now popular market at Hastings Park. This farmers market will run every Sunday from 10:00 am to 2:00 pm until April 30, 2018 save for December 24th and December 31st. The market is located on the Centregrounds. Vancouver Farmers Market is pleased to announce the Hastings Park Farmers Market is returning this Spring. As many will recall, it had a 9 week trial run this past winter at this location and by all accounts it was a great success. So it’s back starting Sunday, March 8th every weekend until April 26th from 10:00 am to 2:00 pm. The market will again be located at Hastings Park between the Forum and the Agrodome. You will be able to stroll down tree-lined pathways under twinkling lights and wander through the Italian Garden. There is a playground close at hand for those coming with little ones. 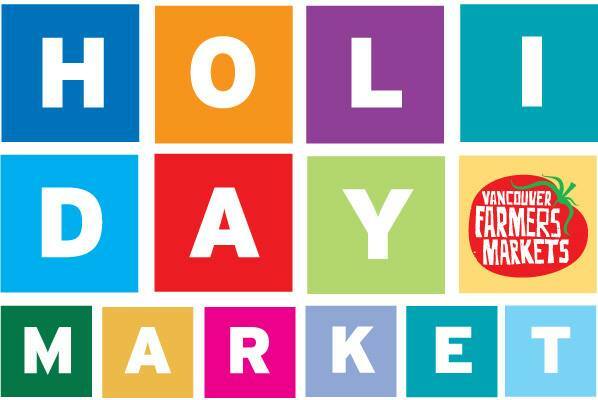 The market will, of course, feature many great local vendors and will have a great selection of produce, fish, meat & dairy, artisan prepared foods, baking & treats, coffee, local crafts and of course some hot food trucks. The market runs rain or shine. See you at the market! Vancouver Farmers Market invites you to Food Truck Fest starting Saturday, February 7th at Nat Bailey Stadium. Vancouver Farmers Market plans on a bit of a competition amongst the participating food trucks at this month’s event. There will be several honours bestowed. 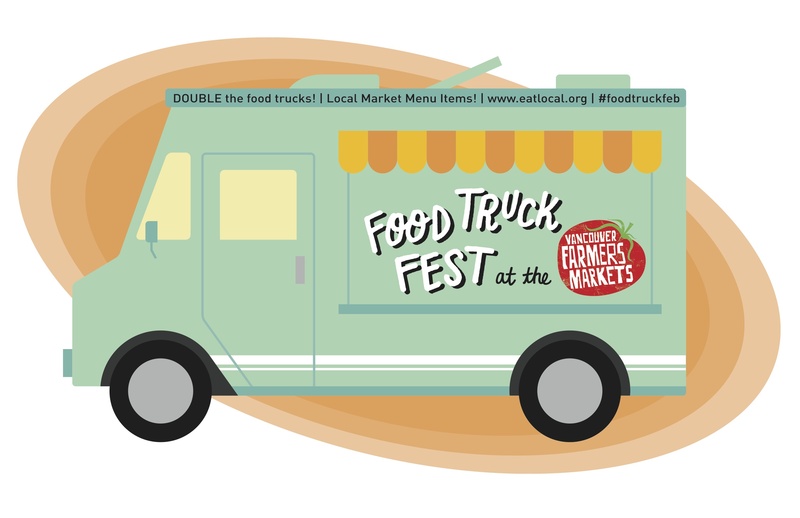 VFM will be challenging each of the food trucks to come up with a new Market Menu item and you get to decide which one is the best. While the food trucks work on their new Market Menu item, they will be asked to submit their sources so they can determine who is using the most local ingredients for Most Local honours. Next up is Judge’s Choice. A panel of esteemed judges (to be announced) will sample all the Market Menu items and decide which one is the best. Food Truck February is a zero waste event. All food trucks are asked to use only compostable or recyclable serving containers and utensils. There will be lots of seating and heaters to keep everyone warm and of course there will amazing live music. Vancouver Farmers Market kicks off Saturday at 10:00 am and runs till 2:00 pm at Nat Bailey Stadium with an amazing line up of local vendors as well as all the delicious food trucks. Note keep an eye out for some construction in the area, the market may get moved across the street to Riley Park. Watch Vancouver Farmers Market website for updates. If you wish to follow the food festivities on Instagram or Twitter, use the hashtag #foodtruckfeb.